Alice Townsend trained at the prestigious Servilles Academy in Auckland, and has owned her own Salons, both in Auckland and now in Wanaka for over 29 years. Alice has a large client base and has helped countless people to achieve the perfect look, either casual or formal, for their wedding day or special occasion. Alice is thoroughly experienced and knowledgeable regarding any style or idea that a customer may have. She has an incredible ability to understand a client’s wishes, and to arrive with a result exactly as requested. She can also visualise what would look great on a client and relay those ideas to the client in a friendly and relaxed environment. Emma is our wedding booking coordinator. Emma keeps everyone in check and keeps the salon running smoothly! She has been Hairdressing for 9 years, and is up with the latest hairdressing and makeup trends. She loves to experiment with the latest colours and is naturally creative. Book in with Emma for all you hair and make up styling needs. Emma has a reputation for her brilliant foil colouring work. Making many woman very happy with their beautiful colours. "I love colouring, giving my clients a change, and making them look and feel good." Isobella has been in the hair salon by default since birth! As Alice's daughter, Isobella is a natural in the salon. With her passion for dance and fashion, the creative skills are very apparent in her beautiful work. 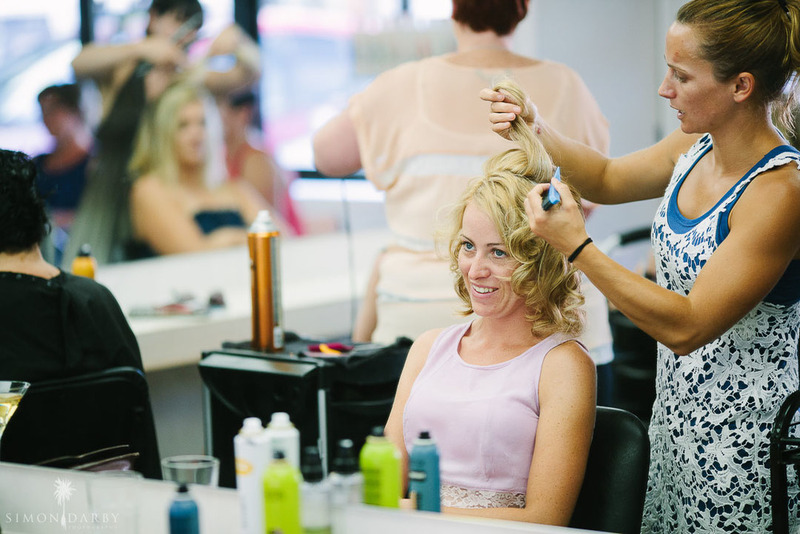 Isobella works on the wedding parties and has gorgeous make up artistry skills along with her hair styling skills. Isobella has a strong colour clientele, who love her balayage and foil work. When Isobella isn't busy in the salon or helping her mum with the running of the shop, she is busying herself in the dance studio. She is an absolute pleasure to watch. This apple hasn't fallen far from the tree and for all your hair care needs, you're in safe hands with Bug. Amy has been in NZ hairdressing for 5 years, with a prior 10 years in Ireland. No job is too big or small for Amy. Know for her fast skills, Amy can handle large colour jobs in a smaller amount of time. An all round hairdresser with a great sense of humour. Enjoy a relaxed appointment with Amy. Toby is co owner of Alice hair. Come in and see Toby for all your hairdressing needs, Toby specialises in full barbering services. For a good yarn and a great cut we welcome you to see Toby. Join us in salon to meet our friendly and laid back team. We look forward to meeting you!